You are here: Home / News & Announcements / Rainy Day Friends……AGAIN! 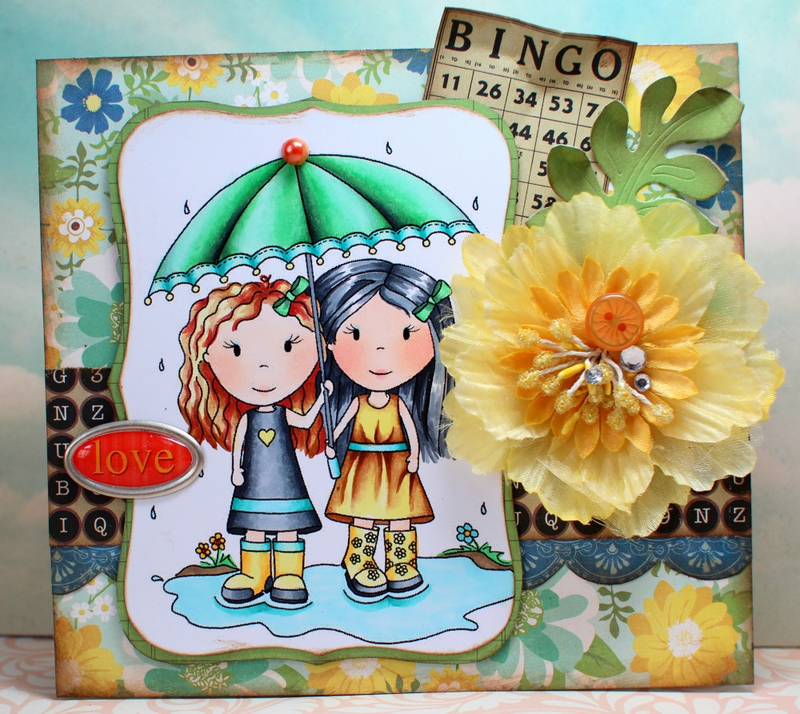 Rainy Day Friends….AGAIN! Yes, i know…..I just showed you this stamp a few days ago ( colored by June Nelson ) . I wanted to show it to you again today, but with a whole different look to it. This card was done by Ilene Tell ( PND freelance designer ) ….i just LOVEE it! !This is one of my favorite stamps ….